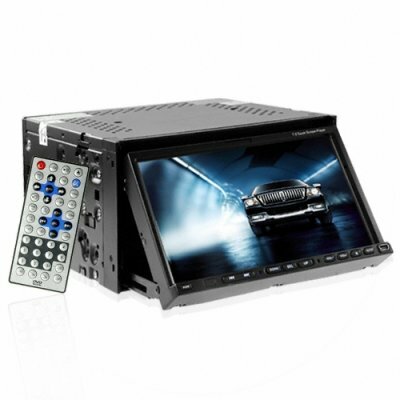 Successfully Added Unparalleled 2 DIN 7 Inch Touchscreen Car DVD with Bluetooth to your Shopping Cart. Unparalleled Double DIN 7 Inch Touchscreen Car DVD with Bluetooth - another feature packed unit brought to you at a great wholesale price by Chinavasion. This particular model has everything you're looking for; Bluetooth, an impressive touchscreen with interactive software, and versatile media compatibility. Grab yours today with no M.O.Q. (no minimum order quantity) and start selling to pull in big profits..
Bluetooth Properties: Handsfree and Headset Profiles, Class 2.